Why do you need the Soul Line Clearing Course. Are you repeatedly attracting the same experiences or relationships to yourself and are unable to break those patterns? Have you learned many modalities and done lots of clearing but still haven’t been able to find the core of the problem and it is frustrating you beyond normal endurance? Then this is the course for you. Or you are experiencing deep grief welling up and you sob for hours or days without understanding why or what you are crying about? Or maybe you suddenly have an unexplained fear of drowning or of heights which was not previously in your awareness until you became a certain age? These unexplained occurrences or aspects surface at seemingly random moments in your life and are directly related to a time in another lifetime where you have drowned or fallen from a height or have profound grief. These memories are held within your cellular memory and surface in Divine timing, aligned with the previous age experience and are often from a previous life trauma. They are waiting to be triggered and brought into your consciousness to clear the karma attached to the experience. Doing the work from a SOUL level with the Divine Feminine vibration of GRACE that you learn in the SOUL LINE COURSE clears fully any energy through all lifetimes back to Source. Throughout our present and previous lifetimes, we have many experiences both negative and positive. These negative experiences of shock, physical abuse, emotional abuse, accidents etc. are stored in our cells as pockets of memory, as powerful images which continue to trigger responses within us when we come into similar situations. I label these similar situations as a pattern. All events or situations are energy and all memory patterns are an energy wave, held within each cell as a distorted pocket of energy. In many instances these memory distortions come in with the Soul’s learning from other lifetimes or parallel existences, whichever concept is easiest for you to accept. These distortions are waiting to be triggered with like negative experiences. They can also create illness or disabilities in a baby or young child that doesn’t make any sense. Eg. asthma, brain tumor’s or cancer. How can the Soul Line Clearing Course help you. The Soul Line Clearing Course opens your awareness on how these patterns affect your current life and you learn how to transforms these experiences as they are triggered and surface. In this course you are taught the tools to make profound change for yourself. This course creates a true sense of personal power and personal responsibility. Once you learn and embark on working with these tools it is over to you to do as many clearing processes as you desire. Transformation, change and the forward momentum is in your hands. The course is held on two consecutive mornings from 9.30 am to 2.00 pm. Tea and coffee is provided. Bookings and registrations are required with a deposit of $70. OPTION 1. Group course is $370. This option includes two fortnightly half hour phone mentoring sessions. OPTION 2. Private ONE-ON-ONE session is $470. Includes weekly half hour phone mentoring sessions. Some of the obvious patterns are poverty, loss, persecution, fear of success or failure, guilt, shame & blame, deceit & lies, unworthiness, feeling undeserving, abandonment, loneliness or being trapped. The Soul Line Clearing Course works from the Soul Essence. We embark upon the clearing process in a manner which enables the highest vibrations of light from source to wash away and neutralize the thought image of any memory. It does this by consciously flooding our being with light/love from the Divine Mother. These light waves then neutralize the negative energy wave within the cellular memory, including all thoughts, emotions, erroneous belief patterns associated with the original distortion. An intensive Course held over two half days. I teach you how to recognize the memory pockets as different patterns (see the list below of the types of patterns) and the manner in which they impact your life. 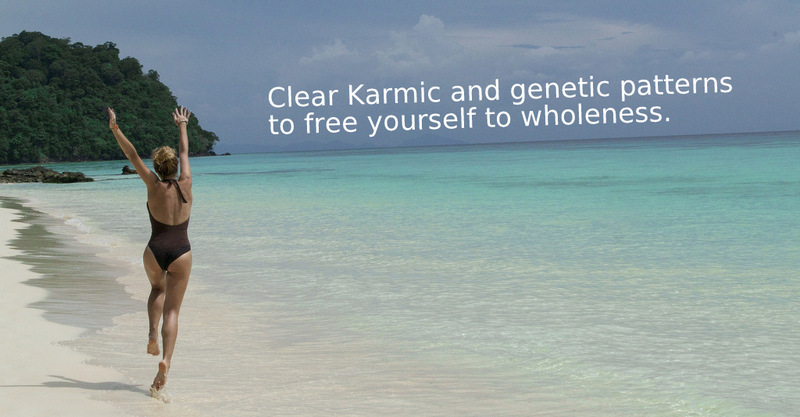 Then I teach you the five part Soul Line Clearing process which clears the belief pattern and its Karmic and Genetic relationship to you. In this clearing process the specific pattern is cleared from the point of origin of the original creation of that energy. Dissolving each pattern from your past lives or parallel realities and current lifetime without the need to have details on any specific life. Those people who are clairvoyant need not to be afraid of this, for I guide you to set a specific intention to not “see” prior to doing the first clearing. At the end of the first days learning I direct you to do your first Soul Line Clearing. The Cosmic Mother‘s profound light and love dissolves and brings in Divine Grace. On doing even one pattern, a subtle change occurs. Upon being in a similar situation which would normally trigger a response within you, there is no longer any power and change has already occurred. 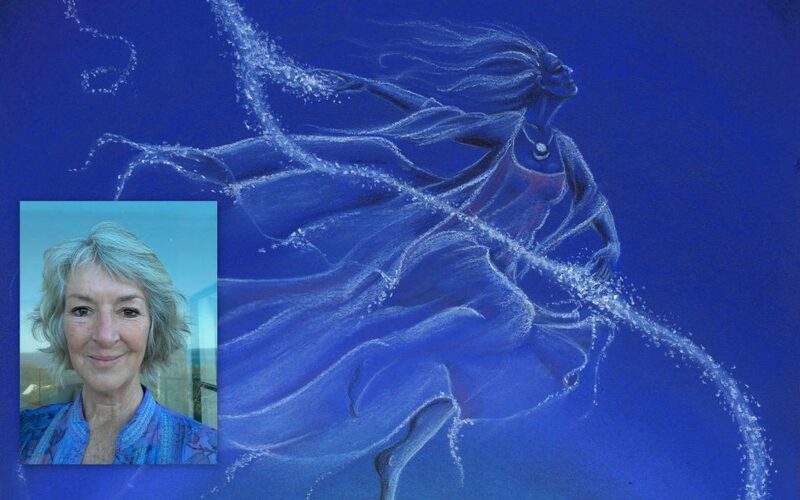 Throughout the clearing process, Amaliah channels her Sirian Goddess – lovingly singing Ancient Healing songs in the Language of Light, Soul Language. Also through the clearing process, your child self, the Cosmic Child is embraced, nurtured and uplifted in the Cosmic Mothers Love. I teach you two different technique tools which assist and support you should you go into fear when you unfold the real core issues that function through this life. Gather fractured aspects of self to become clear and whole. Release long term fears and unresolved feelings. Become a positive being of light. – the Divine Mothers love. to connect to and request your angels, guides and dreams to support and assist you to recognize the next pattern to clear. to learn support tools to move you through and beyond fear when core patterns emerge. Feelings about yourself. Lack of confidence, self worth/esteem, judgments and criticism, narcissism. Relationship dynamics: done to you or by you. Dominance and control, karmic cording, abuse of power – Dominance/subservience, control/ fear of being controlled, victim/ victimized/fear of being victimized, manipulation. Physic attachment of entities and allied negative thought forms. Illness or disease – caused by emotions, injuries, genetics or events: Asthma – Inability to breathe in life / unresolved heart pain and heart conditions/stabbing. Inability to breathe in life – asthma. Unresolved heart pain and heart conditions. Family Genetic/Lineage of Maternal/Paternal line: Coding carried through generations. Global/group consciousness – relating to earth history/world events and environment. Country/locality: Fear of survival – floods, poverty, annihilation. Why do I need to do these clearings? Several years after creating and working with this unique process to clear deep personal issues, I was guided to expand my thoughts on the potential of Clearing the Soul Line course. Through inner vision I became aware of many past lifetimes where I had contributed to the collective pain body of the feminine and consequently cleared lifetimes of my involvement in the decimation of the Feminine Consciousness on the planet. The clarity of this experience enabled me to assist others to also clear their Feminine Collective Pain from their cells, DNA and physical body. Chakra Clearing meditation into love. It includes pages to notate each clearing. Dreams or visionary images given by your Angels and guides. Pages to allow the Inner Child to draw and record memories which affect the direction of journey. For you to note all triggers that are presented along the way as you journal this experience. Extra pages to draw and play. For more information read the articles. Each Soul has a frequency or vibrational signature that is unique, recognizable, eternal and unassailable. However, as human soul’s descending in frequency we disconnected from Source and lost our memories of home and the spiritual beings we truly are. As we descended into matter we accumulated eons of emotional debris. These energetic distortions held in our soul memory are what need to be dissolved so we can completely embody our Soul Essence – to become the essence of Love and Light. “As I progress with clearing my soul line, there has been a development in my association with my own soul energy and with the Cosmic Mother energy. In the beginning I perceived m Soul space as some distance above and beyond me, a separate entity that I was attached to by a thin cord. Gradually it has come closer and closer unitl now it is descending upon me and becoming one with me. In other words I am integration the presence of my soul energy'”.